My name is Nicole! I’m a 27 year old female living in Southern California and this is my blog to chronicle my progress toward accomplishing my first full marathon AND completing the rigorous ninety day workout and nutrition program that is P90X. Although I have never been a “runner,” I’ve always considered myself fairly athletic. I competed in sports throughout my childhood and was part of the swim and field hockey teams in high school. In college I kept in shape with long, arduous, sessions on the elliptical machine, short jogs, and if I was feeling it, some weight training. After college I discovered group fitness classes; dabbling in everything from kickboxing and spin to yoga and boot camps. The group classes simultaneously took my fitness to a new level and made my workouts more enjoyable. Despite enjoying fitness classes more than running, my competitive spirit and type-A personality are the main factors in my decision to take on my first half marathon two years ago. My goal was simple for this race: cross the finish line without walking. I was able to accomplish this goal, and at first, I thought my short running career was behind me. I trained primarily by myself on treadmills (it was a winter race) and although the race day was fun and fulfilling, the lonely hours logged on the treadmill were barely worth it. Over a year later, a friend encouraged me to sign up for another race and with renewed enthusiasm, I began training for my second half marathon with the new goal of breaking the two-hour mark. Despite speed intervals and a few hill workouts, the hill at the 10th mile of the August race beat me, and I came in at 2:01:59, although not a total disappointment as I improved my time from the first half marathon by eleven minutes. Now what does all of this have to do with P90X? Well, that same friend of mine who raced with me in my last half marathon began P90X shortly after the race. 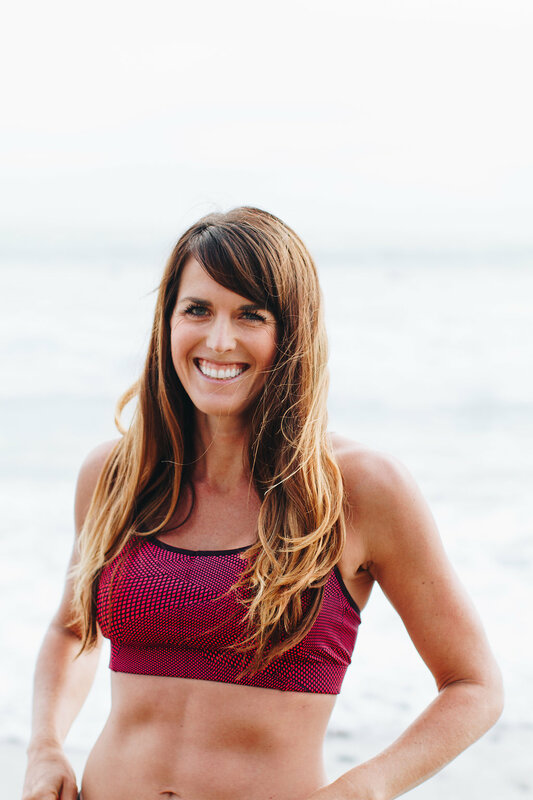 I watched as her body and fitness level changed over those ninety days and began to become curious about how I could incorporate it into my routine. We ran some fun 5ks together and I immediately could tell that she was stronger and faster, yet she hadn’t ran more than one to two times a week. I started wondering if I was going about this all wrong – maybe training is more than running 20-30 miles per week? Maybe it has a lot more to do with overall physical fitness and strength, rather than miles? Ten days from now, I will finish my third half marathon. Ideally, I’ll be coming across that finish line in under two hours (an average pace of 9:10), thanks to hours and hours on my feet. I am a little nervous for the race, as I’ve had a few setbacks along the way (vacation and illness). However, I can guarantee that I’ll be coming across the finish line in less than two hours this August when I defeat that same hill that defeated me last year. I know that P90X will not only make me look better – it’ll help me run faster! Now, this is where it gets kind of crazy. While training for the last race together, my P90X friend and I agreed to run our first full marathon together this year in June. This was before P90X became a goal of mine as well. I’ve decide to accomplish both: On January 26, 2011 I will start P90X, and on June 5, 2011 I will run the San Diego Rock n Roll marathon (with another half marathon thrown in there in between). I’ve researched the running and P90X forums and have found many runners have had success using P90X as a training tool. Luckily, I will have nearly six weeks after we finish P90X to complete my training for the full marathon. However, I will be training for a half marathon hand in hand with P90X. I’ll be documenting the entire journey here on my blog. Next step – purchase all the equipment and take measurements, pictures and do the fit test! Congrats and good luck with P90X. Everyone starts it with different goals in mind, and it looks like you’re goals are good. Have you seen the combo training schedule with P90X and running? May be a good read for you. I’m So excited to hear about your Journey! I forgot to mention in my first blog post that I will keep my mileage below 20 miles/week (and probably even less in the fat burning restricted carb phase) for the first two months of P90x. During the last month of P90x, I will probably modify the program slightly and switch out some of the cardio videos for my runs. I have six weeks after P90x ends to focus pretty much exclusively on running. I know this is going to be difficult, but I also feel that since I am not running the marathon for a personal record, simply just to finish (and I have several months of running behind me), it is possible! I am SO excited to watch P90X transform you! (I’m also excited for round 2!) We are going to conquer Rock ‘n Roll!! Bring it!! Keep up the good work, and keep posting the progress!